Good work! Anyone who falls asleep drunk before 8pm is fair game in my opinion. You should have shaved off an eyebrow too. OMG I used to do the same thing, drawing on people's faces!! Oh and that baby is so damn cute!!! Haha that is one well-drawn moustache! 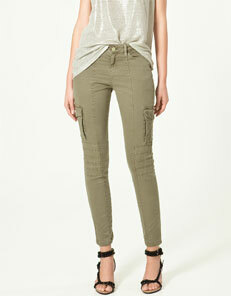 I love the pants from Zara, by the way--so cute! I hope your heart stays young like this forever. That's hysterical! It reminds me when I was in college and we would draw on each other's faces. Your niece is super cute! I love your stories; can't wait for episode 3. Nice artwork! Okay, now we are getting into my kind of party. Looks like fun! Too bad you didn't strip his shirt off and but him in a bra! 1. Fify's laughing picture is spectacular. 2. I want to befriend the old ladies. They look like badasses. 3. Bravo for dawing on the sleepy drunkard's face. 4. Can I make your life into a hit movie? Awwww! That pic of the doggy and baby is sooo cute! Glad it was a good time. The night wouldn't be complete without a draw on moustache, too! An adorable baby, cheap rose wine, chic shopping, a dog laughing, raw meat, Sharpied face, and cute old French ladies all in one post?? I can hardly wait to read Episode Trois! If ever I am blessed enough to meet you, remind me not to fall asleep. har har I can't wait to here part 3. Great moustache! Hope it washes off haha! That baby is too cute! Cute, cute clothes!!!! Oh and that was a just and obvious thing to do when one falls asleep way to early. Love the new wardrobe additions! And that last pic is priceless - anyone who falls asleep at 7:00 def deserves to have their face drawn on! "high on raw beef and zara"....doesn't get much better no? Hahaha I love the last photo, good work! Also I too am amazed at the cheap price of wine, it's so expensive in Australia! Hilarious! Love the first pic with your laughing dog and the last one is classic. Oh this is hilarious! That last photo made me laugh out loud, I agree with Kirsty, anyone asleep before 8pm is fair game! Everyone needs a Ginette and an Odette in their village! Sounds like a fun filled, exciting birthday!! I love the photo os Starsky and Hutch! Good neighbors to have! Oh, and p.s. I love the whole Zara ensemble (pronounced a la francaise with the "bluh" at the end), its fantastique! !